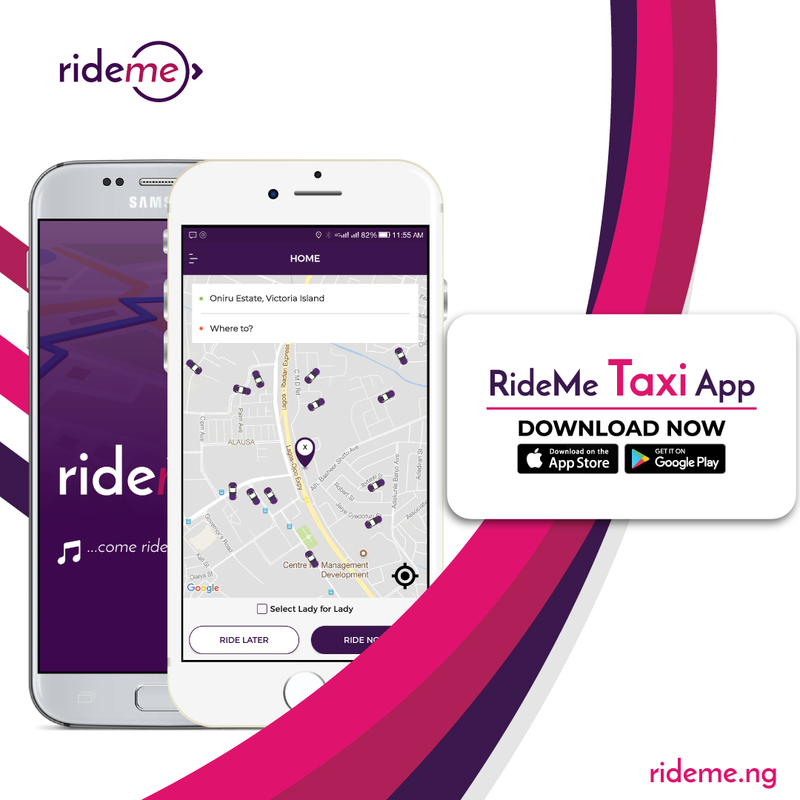 RideMe, a new ride-sharing startup, has launched in Lagos. Its value proposition is to help in reducing the level of frictions Nigerians experience as they move from one location to another across the nation. It connects drivers with riders giving the riders comfort, style and fair rates while providing the drivers and partners a tool for total business ownership. This is a platform business and one that is built on the Aggregation Construct where the technology of RideMe will anchor efficient linkages among different partners. This company will have to battle with old industry veterans like Uber and Taxify which are already operating in Nigeria. But with huge driver-benefits like pension, health insurance and housing schemes, it has a promise. 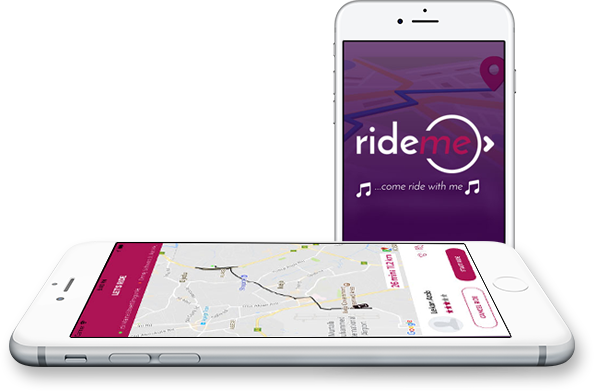 With a few clicks on RideMe App, you can order a ride. You have multipple payment options. You can pay with cash, card, paypal and more. RideMe offers a loyalty programme that ensures that you earn even while you ride. You can use your earnings to order future rides, or simply cash out! With the Lady for Lady feature, if you are a lady, you can book a female driver. The SOS feature provides a single click which helps you to call for help by sending your location and details of your Driver to your nominated emergency contact. Interestingly, RideMe is associated with one of the emerging software companies in Nigeria: ATB Techsoft Solutions Ltd. ATB Techsoft technical team is behind this business and geeks there are pursuing a fully differentiated business model to create a separation from competitors. It is always good when there is competition because customers always benefit. ATB Techsoft takes it to other players and Nigerian riders will see better and improved services. The efficient and optimized allocation of the factors of production can never happen if there is no competition. 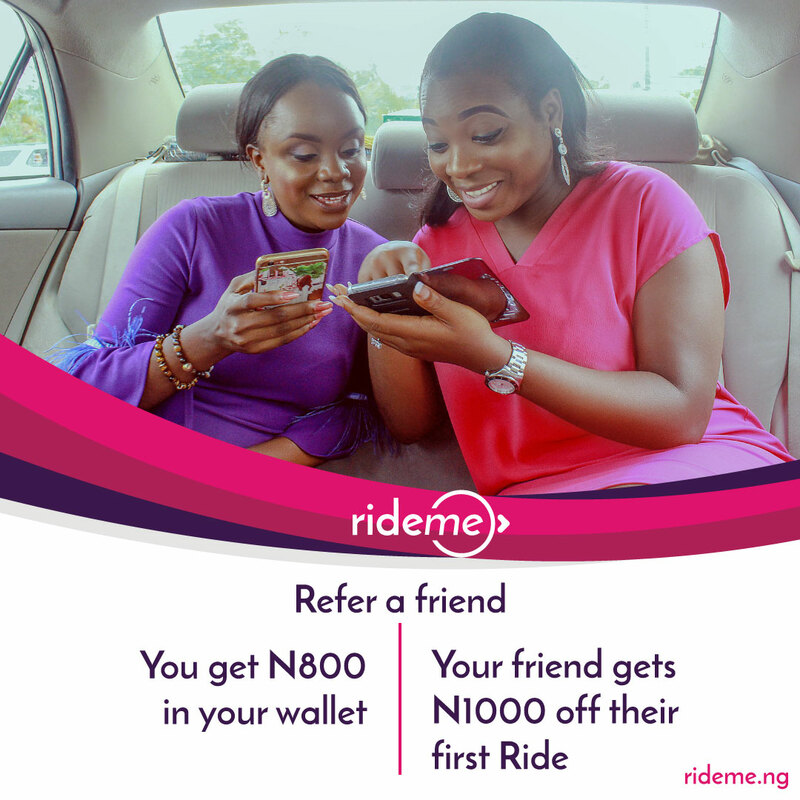 So, Nigeria welcomes new entrants like RideMe into the transportation sector. Our cities need total redesign in how we move and travel to reduce loss of productivity exacerbated daily by the agonizing traffic congestions. As the road infrastructures are expanded, optimization models like the ones offered by e-hailing companies promise a future. RideMe is pursuing an Aggregation-Integration Construct (expanded from Aggregation Construct) business model. It is a business system with high scalabale advantage as the marginal cost is low. Integration is a very important component of aggregation and without it no one can achieve aggregation capabilities. Aggregation drives scalable advantage because of the relative low marginal cost it anchors. The cost of adding extra rider is largely low because there are many drivers to support them with RideMe not having to buy any vehicle for that. Here, RideMe is aggregating four elements which are demand, supply, platform and enabler using the unbounded and unconstrained capability of mobile internet. It is the platform and it would be enabled by margins as it brings demand and supply together. To succeed, it needs to get as many riders and drivers as possible in the ecosystem in order to create a positive continuum of network effect which is critical in a platform business. It has a plan to get those partners into the platform. To execute this business, RideMe has a strategy which is slightly different from the Ubers and Taxifys of this world. First, it does believe fundamentally that happy drivers and partners make happy riders. That means this firm is built at the heart of making drivers and riders happy. First, it charges no commission to drivers meaning that drivers get to keep what they make. The company pays drivers daily for card payments removing the need of waiting for a week. That means drivers get their monies back on time. The firm also has a service dedicated to ladies where lady drivers pick ladies: “Verified lady riders now have the option of selecting a lady driver to come pick them up and take them to their destination”. RideMe has the local domain experience and wants to run an agency model where it would appoint partner coordinators across many cities in Nigeria (contact them if interested). The goal is that its technology can enable and power many cities immediately making it possible to scale nationwide. It sees its drivers and partners as key enablers of its growth model. The firm also offers many benefits which include pension, mortgage, insurance, etc. The company according to its business document I reviewed noted that it is poised to make drivers owners of the business and provide them with social welfare that drives happiness. It focuses on making sure that drivers are the true owners of their businesses by not collecting any commission from them. By keeping all that the drivers make, they make more money. The health insurance, pension and vehicle insurance benefits through its networks are certainly industry-leading. This product is ready in the market. Yes, the RideMe app is available for download on Google Playstore and Apple Appstore. The pricing model is industry-competitive: Base fare: N300;N65/KM with wait counting after 10 minutes of wait at N9 per minute for waiting time. Get it, drive or be driven, frictionlessly!